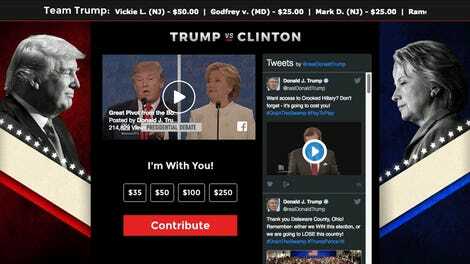 Is Eric Trump A Lemonade Thief? The latest scandal out of Donald Trump’s campaign: Possible lemonade theft. 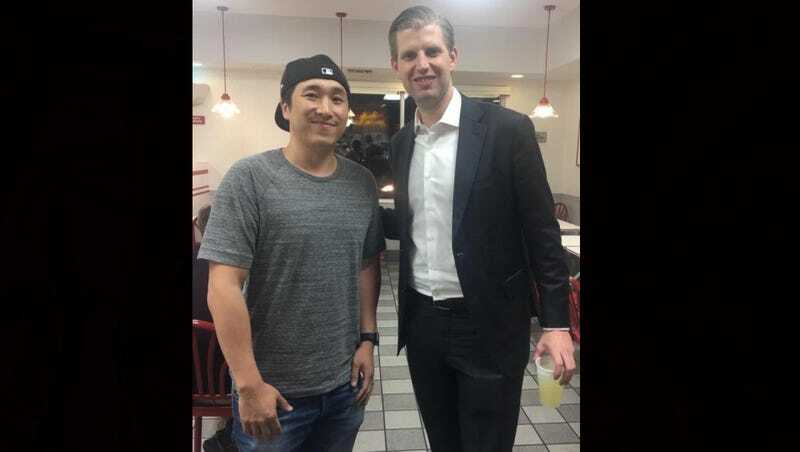 It appears that Eric Trump, one of his five children, put lemonade in a water cup at an In-N-Out burger, which the restaurant frowns upon. The photographer confirms that the encounter happened at an In-N-Out location in Las Vegas (Trump posed for a photo with his wife at an In-N-Out after the debate last night). A marketing rep for In-N-Out declined to comment on the photo, and Trump’s campaign has yet to return requests for comment. We’ll keep you updated if anyone addresses this apparent thievery.